You may already be doing loads in your personal and family life to help the environment, but what about when it comes to running your business? 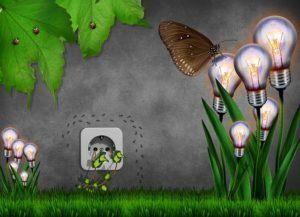 Depending on the kind of company you have, there are lots of different things you can be doing to make a greener footprint – from saving energy to encouraging workers out of their cars. Here are four ways you can boost the green credentials of your business. Instead of just making it up as you go along, you should have a plan in place setting out how you intend to make your company green and efficient. This needs to cover all the key aspects of your business, where energy and materials are being used. Once you have this strategy in place, it will form the backbone of everything you do. It will also enable your workforce to have a reference point. Make it available and talk about it with your staff, so everyone is aware of their own responsibilities. This kind of plan is often asked for by clients too, so it can make a big difference to your customer base and associated revenues too. Your strategy should focus on the use of energy in your operations. If you’re in the manufacturing industry, for example, you should be using machinery that is power-efficient and clean – the latest technology, to maximize your green credentials. You should be educating staff about not wasting energy by leaving machinery on when it’s not in operation, for example. Plus, when it comes to things like lighting production areas, you need to be opting for equipment that saves power too. Have you thought about looking at the energy benefits of LED high bay lights, for example? Investing in such lighting can help lower your company’s carbon footprint while also reducing your utility bills. No matter whether you’re producing one garbage bag of waste a day to several truckloads, recycling you should be at the heart of your business – and certain rules and regulations require that. If you have a lot of waste cardboard and plastics, for example, these should all be separated and sent for recycling. In your office, staff should be thinking green when disposing of paper and printer cartridges and the waste from their lunch and snacks. A lot of garbage items can be recycled, so encourage your workforce to do so. Providing special garbage cans around the office and kitchen can help encourage people to do so. 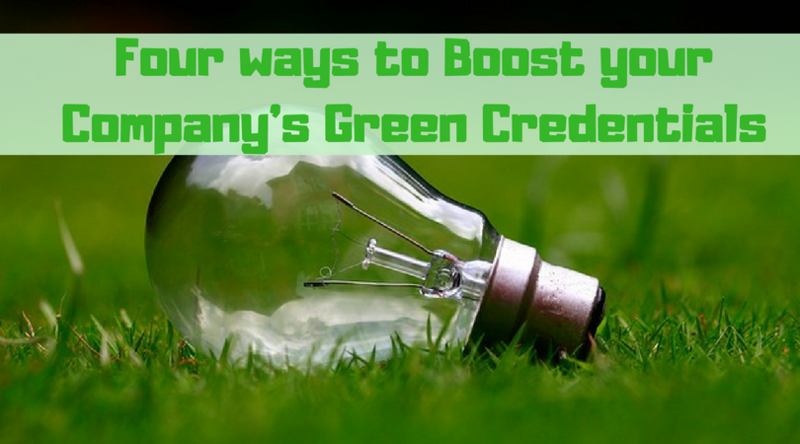 You could also offer incentives such as a ‘green worker of the month’ award. The green credentials of your company shouldn’t be confined to inside its four walls. As a boss, you should also be encouraging your staff go green with the way they get to and from work. You could offer car-sharing scheme incentives, for example, or a loan for purchasing a bike. Spreading the word about the health benefits of cycling and walking can help encourage people to change their habits. You may also want to consider offering electric car charging points in your parking lot if there’s a demand. P.S: Did you like this article? Please put down your thoughts in the comment box below. Also, for more learning opportunities, join our EAT FREE Community, where you can make a little money, making the planet better!